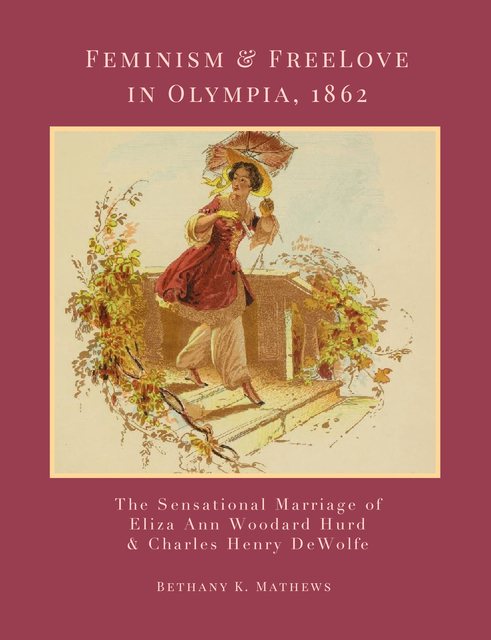 In May 1862, Eliza Ann Woodard Hurd married Rev. Dr. Charles Henry DeWolfe in a ceremony held at Eliza's parents’ house on Budd Inlet, outside of Olympia, Washington Territory. Their "conjugal alliance and matrimonial co-partnership" was not officiated, making the couple criminally liable for offenses against morality and decency. This is the story of Eliza Ann and Charles Henry DeWolfe, told through newspaper articles, letters, images from the period, and a selection of entertaining "vinegar" valentines inspired by their lives.